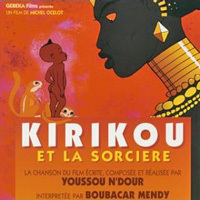 There is, unfortunately, no soundtrack CD for Kirikou et la sorcière — only singles of the original French-language ending and a Japanese version of it. The former of these has been long out of print, but both tracks from it have since been available on a compilation album. Ending theme by Youssou N'Dour. 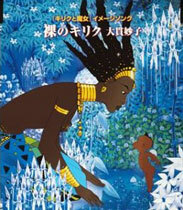 Image song adapted by TAKANO Hiroshi and ÔNUKI Taeko. [Naked Kirikou] ÔNUKI Taeko ? 02 Hadaka no Kiriku Instrumental ? 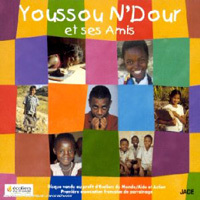 Collection of children's songs produced by Youssou N'Dour.